The recent warm spell notwithstanding, Winter is still upon us and the frosty temps are sure to return. And following the holiday excitement and ushering in of the New Year, we’re sometimes slow to throw off the wintry slump, just doing our best to make it until springtime is here for good.  Since everyone will be experiencing the return of wintry weather along with you, it can provide a universal content marketing platform for you to leverage. Content marketing in winter is definitely possible, and with a little creativity, provides you with the ability to shape stories, campaigns, and ideas around the winter climate. Positive Winter Perspectives: Everyone associates negativity with winter. The sun sets early, it’s frigidly cold outside, and your joints might ache in the morning. Go against the grain this year and associate positivity with the winter season. The snowy, icy, cold, and freezing rainy world can actually be quite beautiful, with its own sounds and smells. If you offer a product or service, take some photos and videos of the service outside with a winter wonderland as the backdrop. Come up with a winter positive hashtag, like #WonderfulWinter, #WhimsicalWinter, #WhimsicalWinterWeekend, and so forth. You get the picture. Mid–Winter Sales: Although the holiday season is over, that doesn’t mean you can’t ratchet up your sales marketing campaigns. Mid-winter sales, right before the spring inventory comes through, are a great way to get traction on your platform. It’s a creative way to move some of your stock that has been hanging around since last spring. A mid-winter sale announcement is also a great time to drive up expectations for your forthcoming spring products. Wintry Giveaways: Going off the waning inventory point, winter is a great time to host giveaways. Many people are cooped up inside, on their phones and laptops. There isn’t much to do. Chances are, these people will be more than happy to participate in any wintry marketing campaigns that involve giveaways. Ask your followers to repost your giveaway on their Instagram and Facebook, tagging 2 people below each post. Everyone wants something for free, and if you’re willing to clear out old stock freely, it’s a great way to drive up awareness and traction regarding your brand. Take advantage of the remaining winter months when everyone is on their laptops, tablets, and smartphones for the majority of the day. Your audience is bored and waiting to be entertained. 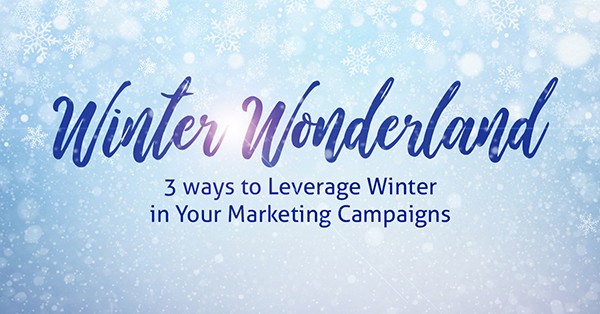 Sprinkle some positivity on top of sales and giveaways, and you will surely leverage winter content marketing to the best of your ability this year. And if you need more ideas, just give us a call. After all, We Do That!